Dry powder is a highly versatile Class A, Class B and Class C fire-fighting medium used for most fire risks. In addition to dealing with electrical fire hazards, flammable liquids and gases, our powder extinguishers are also effective on vehicle fires. 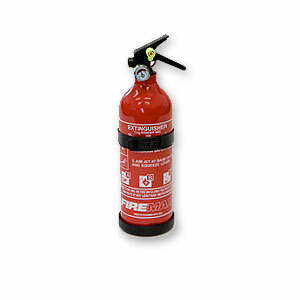 Powder extinguishers are well suited to use in cars, vans, boats, kitchens, workshops and the home. Not suitable for cooking fat fires.